2605 Limestone Place, Coquitlam - SOLD | Jenny Wun - Oakwyn Realty Ltd.
Westwood Plateau - custom built, well kept 3 level home with mostly unfinished basement with separate entrance, RI plumbing, full height & is very easy to suite. 1 bedroom and 1 full bathroom in the basement. Upstairs Huge oak kitchen, eating & family areas. Breakfast bar & built in desk. Separate formal dining room & living room with bayed windows. Upstairs boasts fabulous master bedroom with gas fireplace. 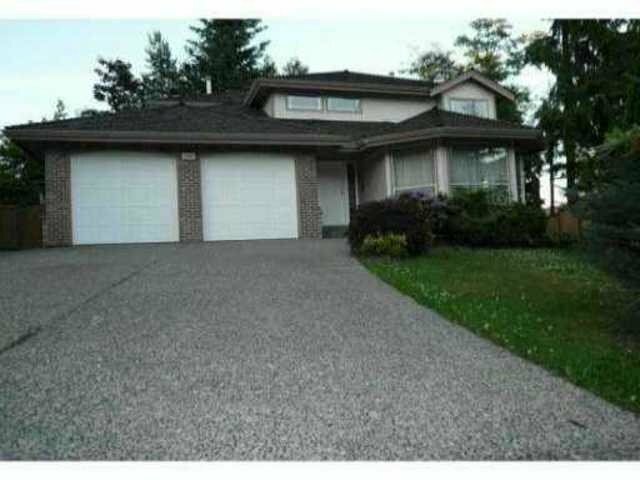 Property is backing onto a greenbelt & next to Noons Creek on a quiet & gorgeous cul-de-sac. Currently rented to very good tenants who would like to stay. Close to schools, parks & trails.